Strawberry lovers who grow their own berries may be of two types. 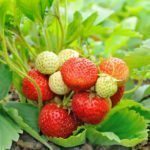 Some prefer the larger June-bearing strawberries and some prefer to sacrifice some of that size for everbearing varieties that produce multiple crops throughout the growing season. There is no right or wrong choice, but for those who want successive crops and live in the northern regions or higher elevations of the South, try growing Ozark Beauties. What are Ozark Beauty strawberries? 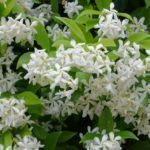 Read on to find out how to grow an Ozark Beauty and about Ozark Beauty plant care. 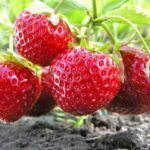 What are Ozark Beauty Strawberries? The Ozark Beauty strawberry was developed in Arkansas and is well suited for cooler regions, hardy to USDA zones 4-8 and with protection may even do well in USDA zones 3 and 9. This strawberry cultivar can survive winter temps down to -30 F. (-34 C.). Ozark Beauty strawberries are considered to be one of the best everbearing varieties. They are vigorous and extremely prolific producers. They produce fairly large berries for an everbearing that are deep red in color and honeysweet, excellent for use in the making of preserves. When growing Ozark Beauties, be aware that this cultivar will typically not set fruit in the first year, or if they do, do so sparely. This strawberry variety produces very long runners at the same time as it is blooming and producing fruit. As with all strawberry varieties, ‘Ozark Beauty’ prefers full sun and slightly acidic soil with a pH of 5.3-6.5. Because they produce quite a few runners, they can be planted in a matted row or hill system. Ozark Beauties should be provided an inch of water per week depending upon weather conditions. During their first year of growth, remove all but 2-3 runners from Ozark Beauty plants. This will increase the size and quality of the berries. 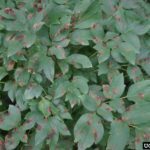 While Ozark Beauties are resistant to both leaf spot and leaf scorch, they do not have any resistance to common strawberry pests such as spider mites or nematodes. They are also susceptible to red stele and verticillium as well as anthracnose.